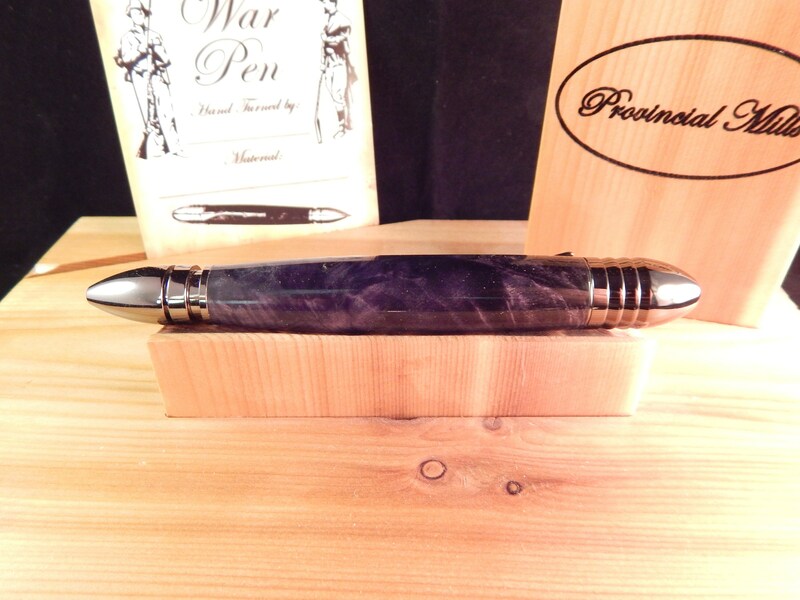 This Civil War pen was crafted from black and gray dyed buckeye burl and matched with gun metal fittings. 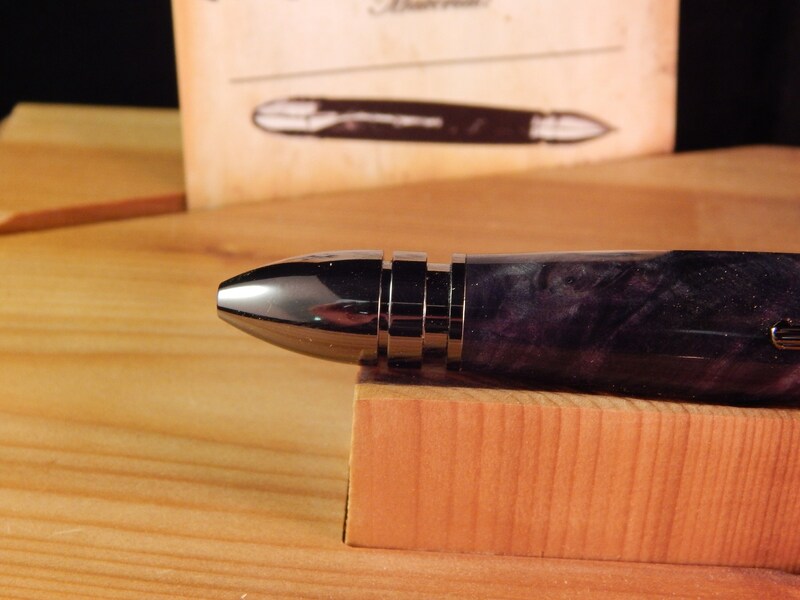 This pen features a detailed model 1861 Springfield musket clip, a replica 58 caliber minie' ball on the cap, and a 44 Colt Army Bullet for the writing end. 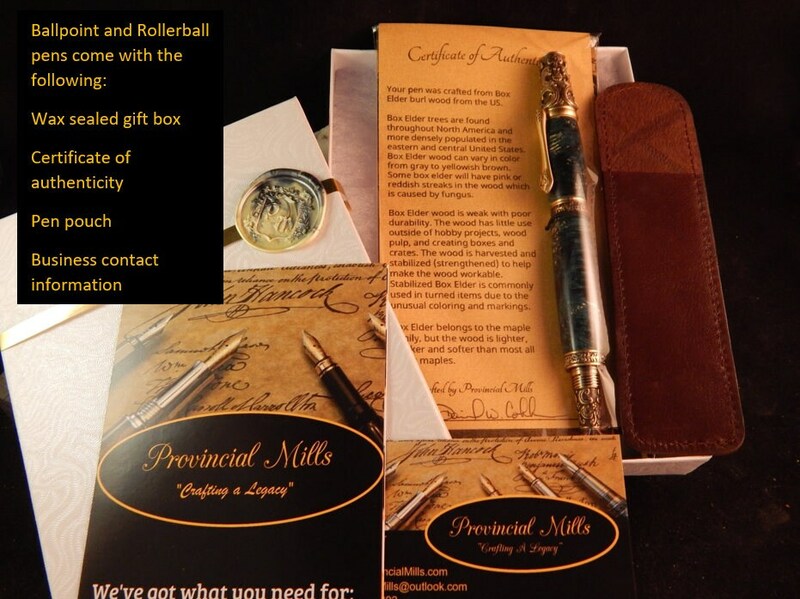 This pen comes with an information pamphlet detailing the history of the pens replica components. 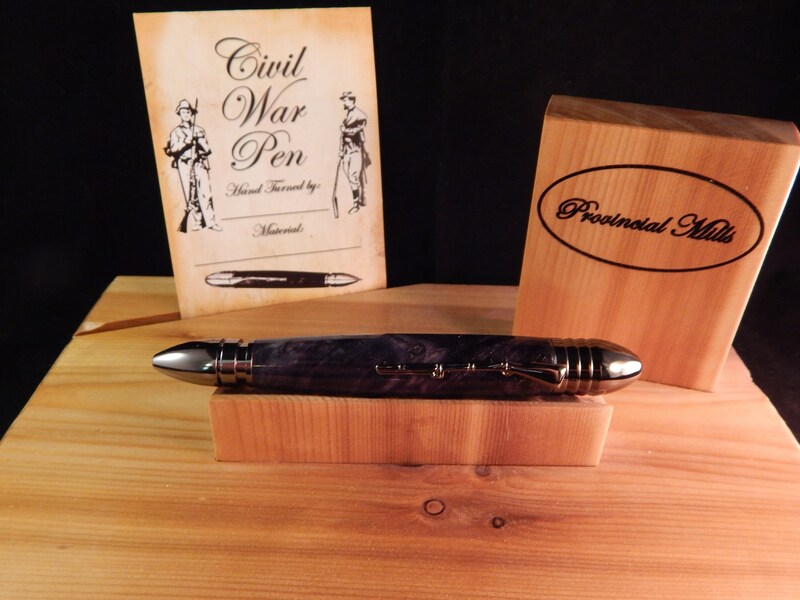 The civil war pen does take Parker style ink refills. I bought this pen for my husband's birthday. When he opened it he was SO excited and so was I! 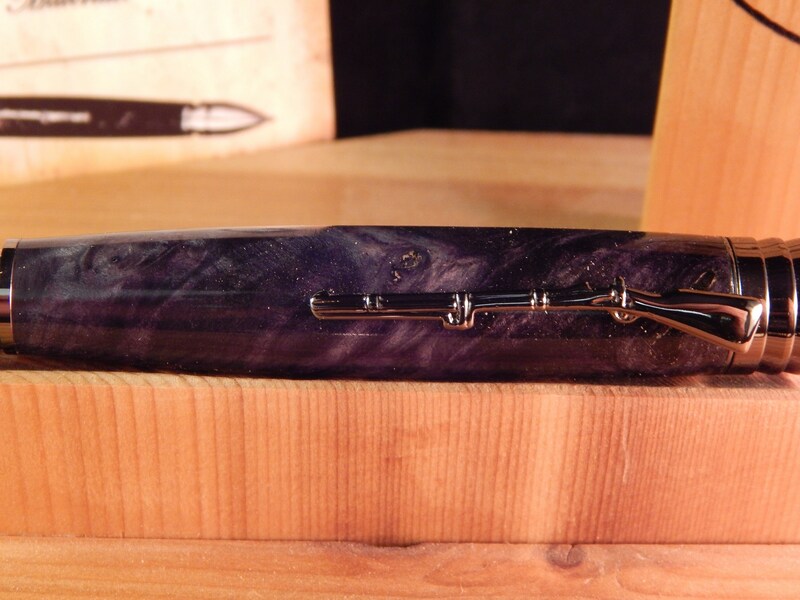 The pen is GORGEOUS and writes beautifully. Shipping was super fast. We will be repeat customers!